Christopher started his career on the floor of the AMEX (American Stock Exchange) and joined FFP in 2011. 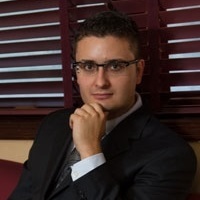 He specializes in reviewing client accounts and preparing comprehensive financial plans. Christopher is a graduate of Holmdel High School and Moravian College in Bethlehem, PA, where he earned a Business Management degree. His future plans include becoming a Certified Financial Planner™ (CFP®). Acknowledging the “rigorous work ethic” a financial-planning career requires, Christopher notes that one of his firm’s biggest strengths is its PASS (Professional Accounting Service System) Advantage System™. PASS is a proprietary, turnkey system that’s become crucial for FFP Wealth Management affiliated accountants and financial advisors to seamlessly manage client assets and/or open investment accounts. As FFP Wealth Management also offers complimentary financial planning to its tax clients, PASS helps clients reach their financial goals as efficiently as possible by coordinating the relationship between accountant and advisor on the client’s behalf. “This kind of coordination is definitely lacking at the larger firms and big banks,” notes Christopher. An independent firm that strives to be a “one-stop shop” for its clients, FFP clients receive a degree of trust that’s not always available at larger competitors. At FFP, the client’s needs always come first. FFP has an “independent advantage” as it is a privately held firm capable of using any product in order to truly cater to its clients’ needs whether it’s mutual funds, annuities or insurance. The firm offers no proprietary products and its representatives have no quotas or “preferred products” list. Christopher spends most of his free time with his wife, Vanessa. The couple enjoys cooking and attending concerts. When not on the golf course, Chris can be found cheering on his favorite New York sports teams the Giants and Yankees. He hopes to do more traveling in the future.